Babies Born in Mississippi Are Less Likely to Reach First Birthday Than Those Born in the Rest of U.S.
Mississippi has the highest infant mortality rate in the United States. According to the state's health office, for every 1000 babies born, 9.4 die before their first birthday, a mortality rate tantamount to those of underdeveloped countries. While there is no one, clear explanation for the problem, experts indicate that several contributing factors involve the mothers' socioeconomic backgrounds. Premature births are one of the leading causes of infant death in America, and according to the Global Alliance to Prevent Prematurity and Stillbirth, poverty and low education contribute to high preterm birth rates. In 2011, Mississippi had the highest percentage of people living below poverty level in the U.S. The state also has the highest rate of preterm births, according the March of Dimes. Other factors that increase a mother's chances of giving birth prematurely: If she's a teenager, if she's obese, or if she's black. 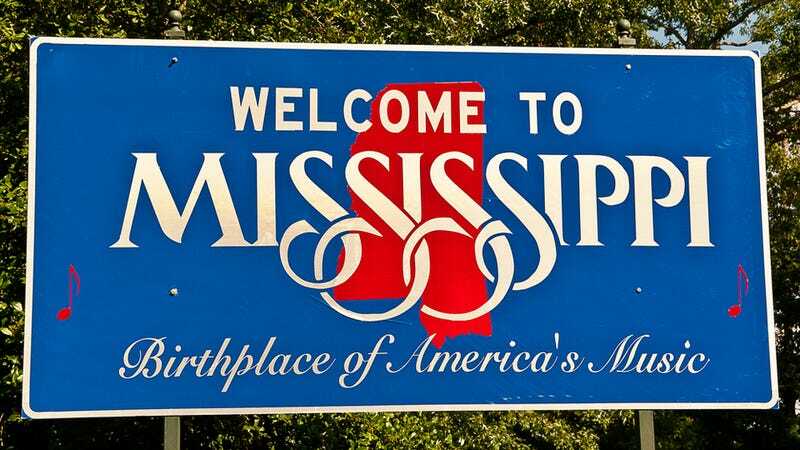 As it happens, Mississippi had the highest teen birth rate in the U.S. in 2010, currently leads the country in obesity, and 40% of its infants are born to black women. Black women are 50% more likely to give birth prematurely, the reasons behind which remain mysterious to the CDC, but state health officer Mary Currier tells CNN, "It is my belief that is largely due to poverty and the social determinants of health." There are no real interventions that could prevent premature births in the state, other than staying healthy during pregnancy. However, even that is difficult for expectant mothers in Mississippi. Considering the fact that 19% of the state's population is uninsured, many of them aren't getting the proper prenatal care they need. Unfortunately, Mississippi, despite being the poorest state in the nation, is perhaps the most vehemently opposed to universal healthcare.